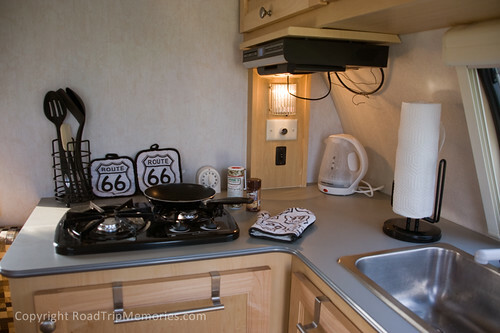 This entry was posted by Jennifer on September 19, 2009 at 5:28 am, and is filed under Camping/RV. Follow any responses to this post through RSS 2.0.You can leave a response or trackback from your own site. How exciting for you both! 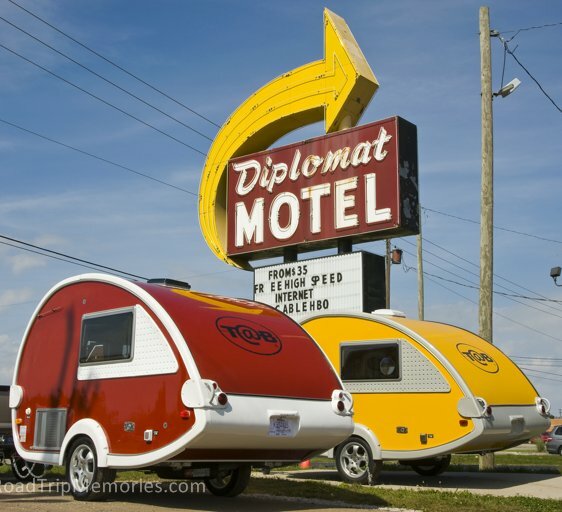 This ought to make for some really enjoyable road trips. What’re you gonna tow this behind? Good question, Jim! Not sure yet, but Pat’s working on it!! we have a t@b an want to be in a club. do you have any suggestions? 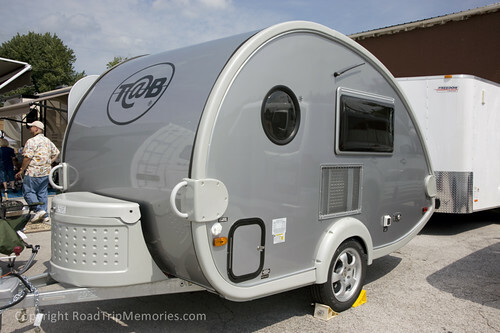 Hi Shereen, I am not aware of an official club with membership dues, but I started an online group for owners of the TAB and TADA trailers, which you can find here: http://tab-tada.ning.com/ Signing up is easy. You are welcome to join us! We have a forum, photo gallery, chat, and more. 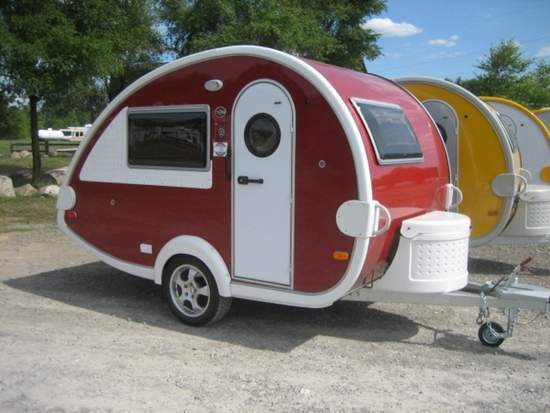 I LOVE your T@B Trailer and want one of my own! You purchased yours in Indiana? May I have the name and contact info. for the dealer? I live in Virginia and can’t find a dealer anywhere! Lucky you…I know you are enjoying it! 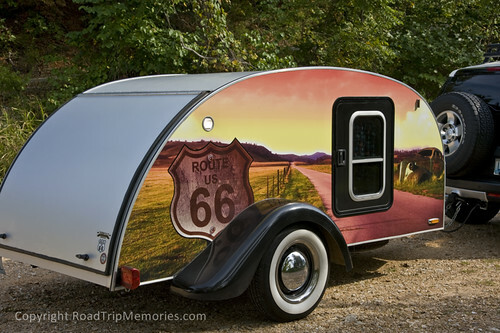 I now own the Route 66 teardrop. 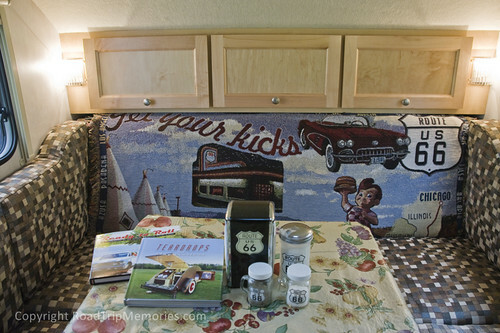 Boy, was I surprised to see a pic of my trailer on your website. Nice! Glad we didn’t buy it so you could!